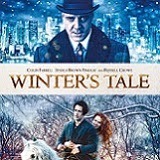 Set in a mythic New York City and spanning more than a century, “Winter’s Tale” is a story of miracles, crossed destinies and the age-old battle between good and evil. 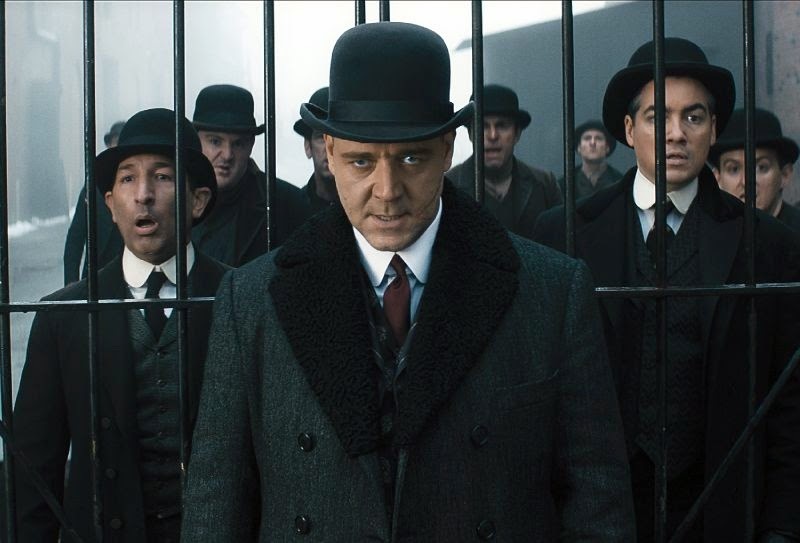 Peter Lake (Colin Farrell) is a master thief who never expected to have his own heart stolen by the beautiful Beverly Penn (Jessica Brown Findlay). But their love is star-crossed: she burns with a deadly form of consumption, and Peter has been marked for a much more violent death by his one-time mentor, the demonic Pearly Soames (Russell Crowe). Peter desperately tries to save his one true love, across time, against the forces of darkness, even as Pearly does everything in his power to take him down – winner take all and loser be damned. What Peter needs is a miracle, but only time will tell if he can find one. I was really looking forward to sitting down to watch Winter’s Tale since I had missed it in the theater. 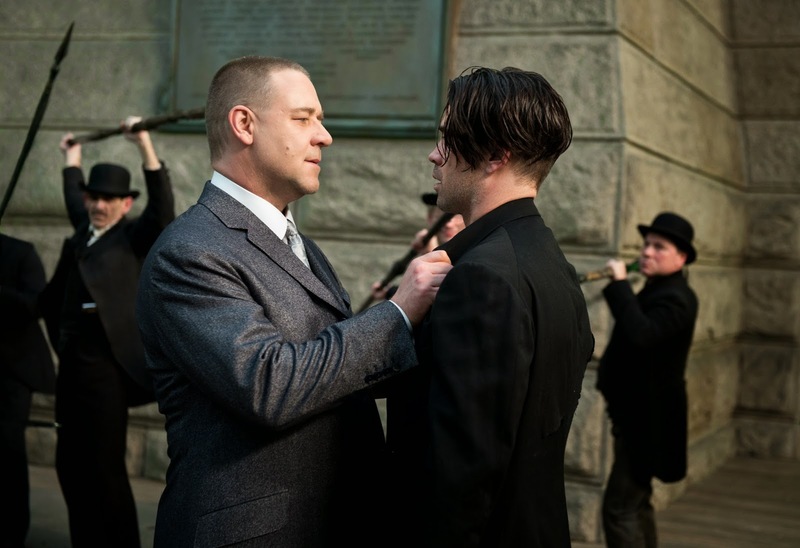 I’ve always been a fan of Colin Farrell and Russell Crowe and thought they’d make this movie good. I wasn’t disappointed… except, it wasn’t just them that made it good. I loved the story; it was a sweet love story with magical elements, fighting for good against evil and the possibility of miracles. Peter Lake is an orphan. In the late 1800s, his parents tried immigrating to the United States, but were sent back from Ellis Island because they both had consumption. Wanting a better life for their infant son, they put him in a model boat and floated him to shore. Peter is saved and raised by a man named Pearly, who teaches him how to be a criminal. Peter spends his days robbing homes of their jewels and precious items until one day he decides he wants to be more than a petty thief and leaves Pearly’s crew. This angers Pearly who decides that he wants Peter to die. While being chased by Pearly and his men, Peter is rescued by a white horse with magical powers. Rides the horse out of New York City, where Pearly can’t follow and decides he’s going to go to Florida. Before he can leave, the horse leads him to the home of New York publisher, Isaac Penn and his daughters Beverly and Willa, where, for some unknown reason, he is compelled to break into the home. As he is trying to open the safe, he hears music and sees a lovely red-headed woman (Beverly) playing. Beverly invites him to sit and share some tea and they tell each other their stories. It’s instant love and Peter tells Beverly he will return the next day, but Beverly tells him she is leaving for the family country home. Before she can leave, Pearly finds her and Peter, with the horse, is drawn back to the mansion and rescues her. They arrive at the country home, where he father is skeptical of Peter’s intentions, but Willa, Beverly’s younger sister immediately takes to Peter. After Peter saves the house from an overheating boiler, Isaac sees how much he loves Beverly. However, Beverly’s illness finally takes her and she passes away next to Peter. They family and peter returns to the City, which puts Peter in danger again. Pearly finds him and after a fight, throws him over the edge of the Brooklyn Bridge. 100 years later, in present time, Peter wanders New York with no memory of his previous life. He spends his days drawing a red-headed woman reaching for the moon on the sidewalks of Central Park. One day, he bumps into a little girl, Abby, and after a brief, but somewhat familiar conversation, Peter begins regaining his memory. He returns to Grand Central Station and finds a box with items in it that seem familiar. He goes to the New York Public Library and enters the Penn Research Room, but because he doesn’t have identification, he can’t access the files he wants to look at. A woman, who works for the Penn Publishing Group, introduces herself as Virginia and offers to help him. Virginia invites Peter to her home for dinner. When he arrives, he sees that Abby is sick and realizes that he is the one who can save her. Once again, though, Pearly, who is still living, senses Peter’s presence and finds him. After chasing him to the Penn’s country home, he and Peter have their final confrontation, while Virginia and Abby wait on the sidelines to see who will be the last one standing. I enjoyed this film so much. Watching Peter and Beverly’s love story begin and end within a short amount of time was beautiful. Seeing how lost Peter was without Beverly was heartbreaking and I really felt that Colin Farrell portrayed that perfectly. Jennifer Connelly did a great job as Virginia, the reporter who isn't sure that what she’s seeing is true. I really liked the story and was even surprised to see another actor I like in a small but important role. 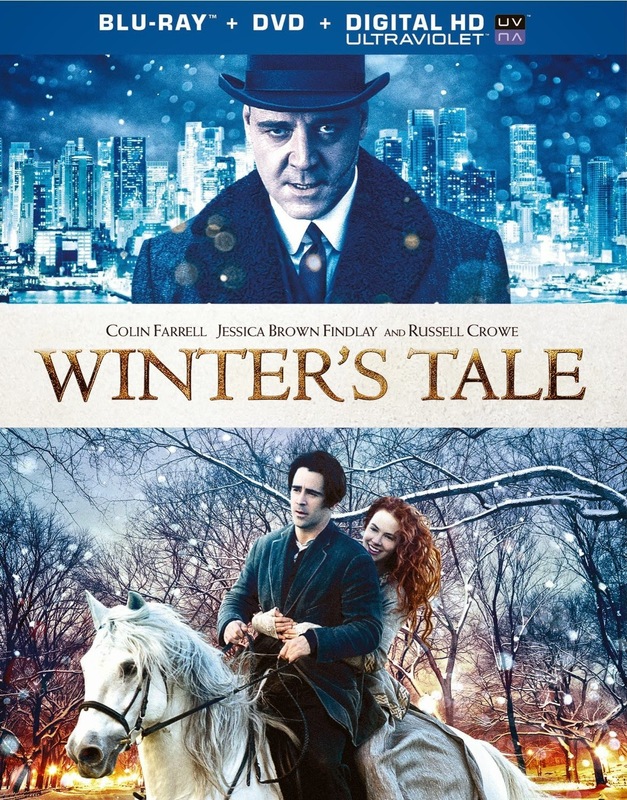 Winter’s Tale is presented in 1080p high definition 16x9 2.4:1 aspect ratio. This is a beautiful movie to watch. The colors were good and there is a lot of white because of all the snow. The white was crisp, sharp and really popped against the grey and black of the rest of the scene. The scenes blended well together and it was a really pretty movie to watch. The English DTS-HD Master Audio 5.1 presentation is really good. Dialogue was clear and the volume was at the right pitch. Everything was heard clearly. Background sounds were blended well with the dialogue and nothing overwhelmed one or the other. Winter’s Tale is also available in Dolby Digital French 5.1 (dubbed in Quebec) and Spanish 5.1, and Portuguese. 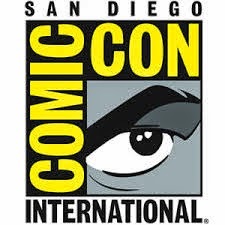 English SDH, French, Portuguese and Spanish subtitles are also available. I enjoyed what special features were included and just wish there were more. Behind the Scenes: Winter’s Tale: A Timeless Love – A look at the story and the film with cast interviews. I really enjoyed watching this. This feature talks about how the film went from book to screenplay to film. It really made me want to read the book. Watching this make me like the movie even more than I already do. Behind the Scenes: Characters of Good and Evil – This featurette talks about the different ways good and evil presented itself in the film. Cast and crew talked about the significance of light and what it all means for the characters and the story. Additional Scenes – Deleted scenes from the film. Included is a scene where Peter, as a baby, is found on the shores of New York. This was the most interesting scene. It didn’t add much to the film and was a good choice to leave out, but it was interesting. All of the deleted scenes were good choices to leave out as none of them added to the film. Winter’s Tale is a really good story. It’s a love story, a mystery, a magical story about good versus evil and how one prevails over the other. The actors all did a great job in their roles. I really regret not seeing it in the theater because I think the picture would be much more beautiful on a really large screen. Winter’s Tale, while it may not have done well in the theaters, is a good film and seeing it, I really want to read the book!